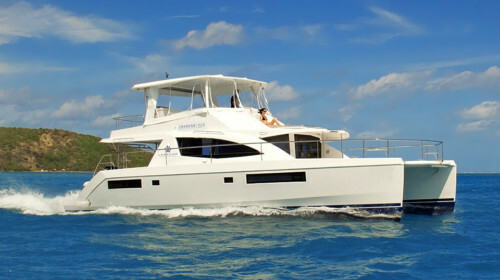 Numarine 105 is available for extended superaycht charters in Phuket and Southeast Asia. The 32m hardtop superyacht was built in 2016 by Numarine. Can Yalman is responsible for her beautiful exterior and interior design. Her interior layout sleeps up to 8 guests in 4 en-suite cabins including a master suite, 2 VIP staterooms, 1 twin cabin, and 1 more cabin that can easily transfer into a sitting area, or kids play area, or a bedroom with 1 sofa/queen bed. Timeless styling, beautiful furnishings, and sumptuous seating create an elegant and comfortable atmosphere. The Numarine 105’s impressive leisure and entertainment facilities make her the ideal charter yacht for socialising and entertaining with family and friends. 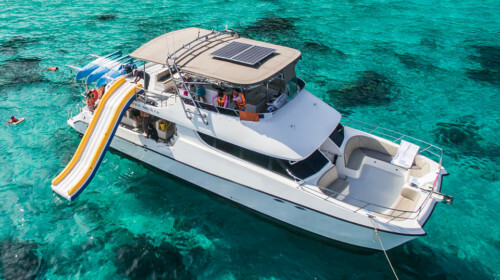 The selection of toys includes fishing and snorkeling equipment, water-ski for adults and kids, 2 standup paddleboards, 2 kayaks, wakeboard, 2 Seabobs, diving equipment, and beach game toys. With a cruising speed of 22 knots, a maximum speed of 31 knots, and a range of 500 NM from her 12,700 fuel tanks, she is the perfect combination of performance and luxury. 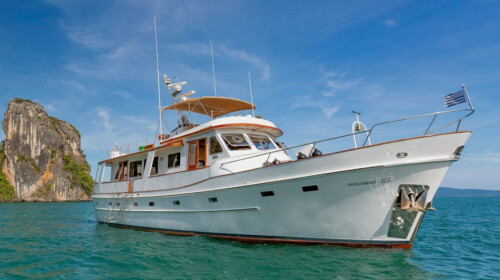 The Numarine 105 is currently available for superyacht charters from Phuket to Langkawi or up to Burma (Myanmar) and around Mergui Archipelago. Contact Boat in the Bay to inquire about chartering this beautiful superyacht Numarine 105. The price excludes all meals, soft drinks and alcohol; fuel, transfers, excursions, and crew gratuities. Advance Provisioning Allowance to cover these costs in the amount of 30% of the total charter fee is collected 2 weeks before departure. Cabins: 3 double, 1 twin, 1 cabin convertible into double.